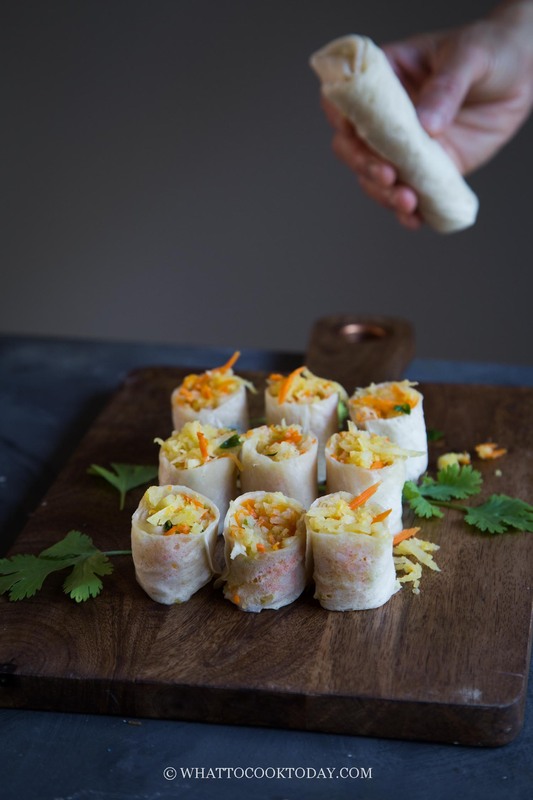 Popiah Medan (Fresh Spring Rolls with Jicama) – Fresh spring roll is filled with jicama, carrots, and shrimp mixture. Popiah is one of my favorite street food. 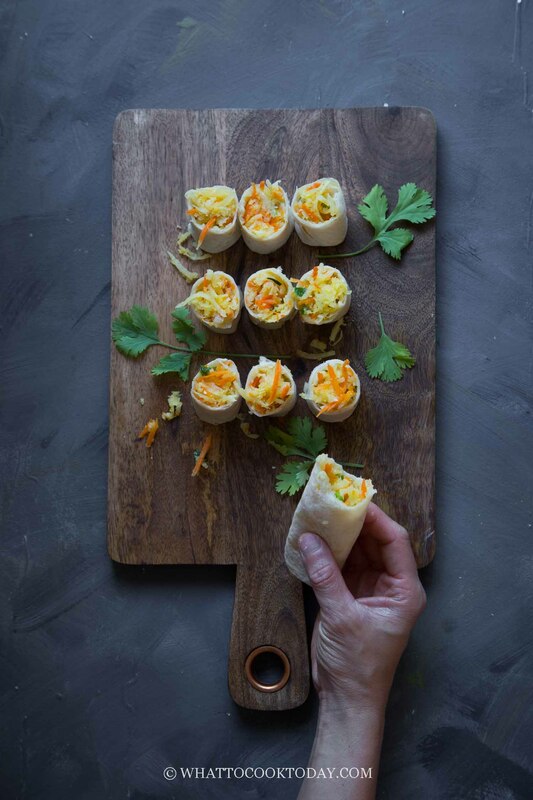 Learn how to make fresh spring roll wrapper easily too. 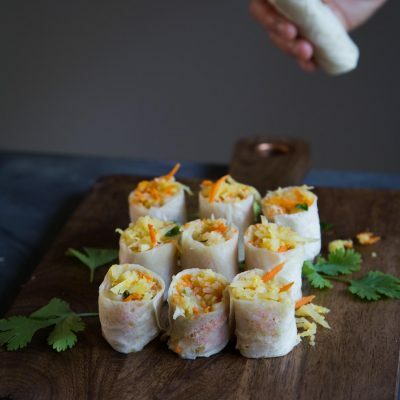 Popiah or loosely translated as fresh spring rolls with jicama are popular street food in Southeast Asia countries like Indonesia, Malaysia, and Singapore. I grew up eating these and love them so much. 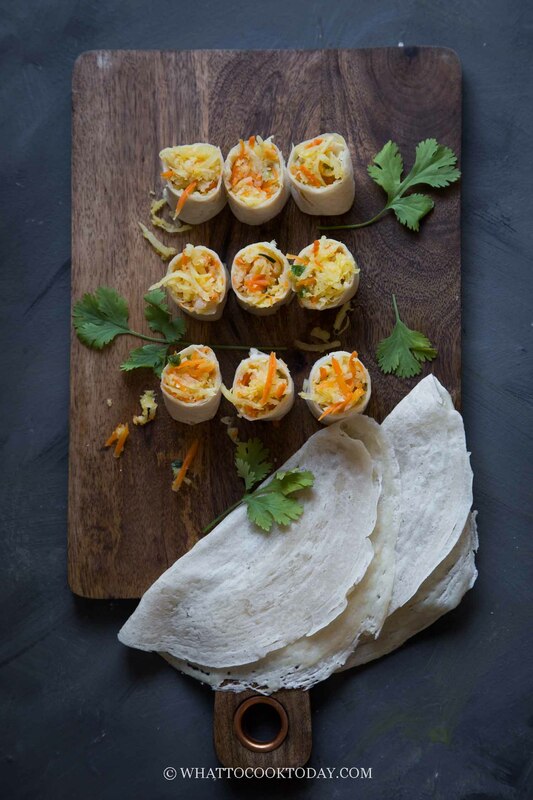 The main filling in popiah always include jicama or known as yam bean or bang kuang in a Hokkian dialect. In North America, we call it Jicama (read: hee-kah-ma). The Indonesian version, from the hometown I grew up, Medan, of popiah is a bit different compared to the one I’ve tasted in Singapore. Not as “fancy” perhaps I should say (not as much ingredients in the filling) and it comes in two version: the fried and non-fried. I always prefer the non-fried one and they always come with this special red sauce that I’m not sure what they are made of, to be honest, but it’s really good. The only problem I used to had when it comes to making popiah is the popiah wrapper (spring roll wrapper). 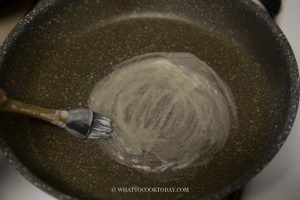 I’ve tried several recipes that require so much work and to no avail! I failed miserably! I don’t like the store-bought spring roll wrapper for this version of unfried spring rolls because the texture is just not the same. 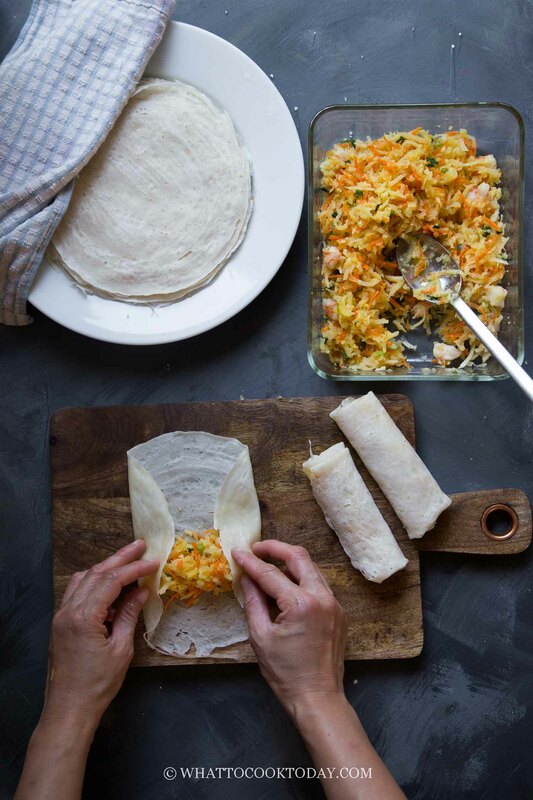 Until, of course, I came across how to make popiah wrapper so easily! Like seriously easy that I’ve made them 3 times in the course of two weeks! 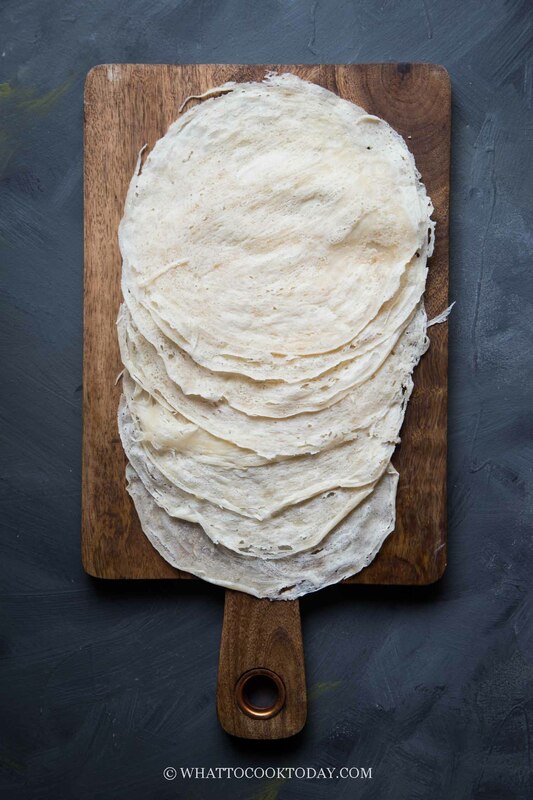 Fresh spring roll wrappers are only good for 1-2 days after being made. 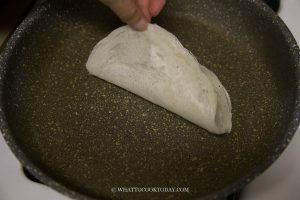 Recipe for the spring roll wrapper is adapted from China Sichuan’s. Love the easy recipe! 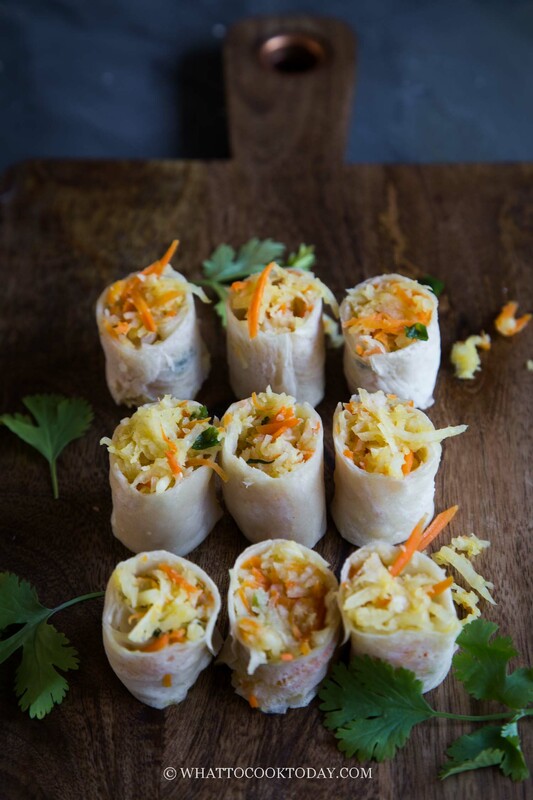 Fresh spring roll is filled with jicama, carrots, and shrimp mixture. Popiah is one of my favorite street food. 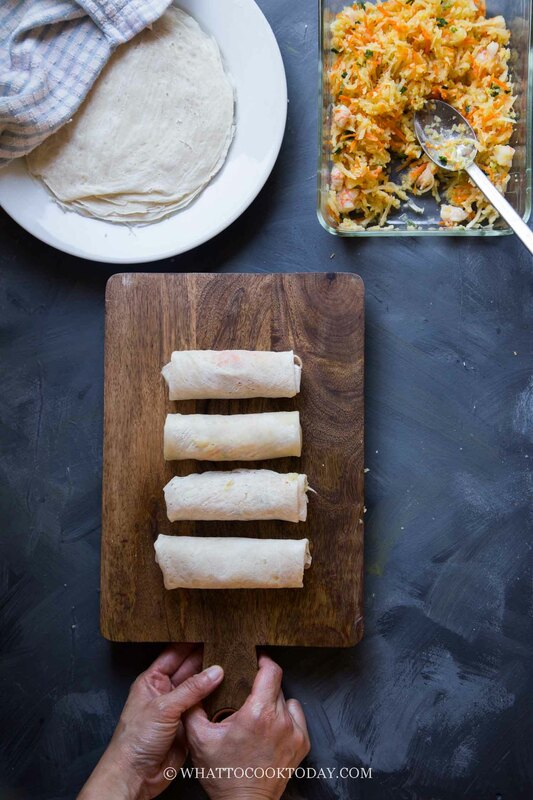 Learn how to make fresh spring roll wrapper easily too. Turn on the heat on your stove to the lowest. 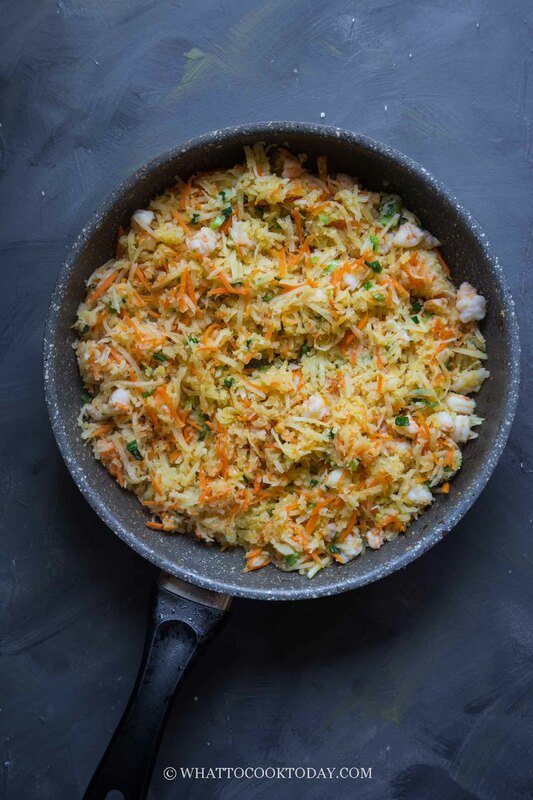 Place the non-stick pan, about 8-inch size if you have one. 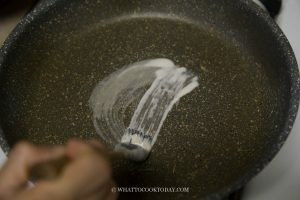 Use a large pastry brush to brush the batter on the pan. 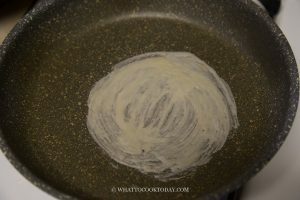 Once the bottom has cooked, gently peel it off the pan to a plate. Cover with a cloth.